Kev Marcus and Wil Baptiste are Black Violin. Photo by Lisa Leone. BOTTOM LINE: Shattering stereotypes with a new spin on classical music, Black Violin: The UNITY Tour brings electricity, energy, and virtuosic talent to the stage. In the second row, close enough to the booming speakers to need earplugs, a little girl carefully copies the complicated dexterity she sees on stage. Fingers, like the notes they produce, fly through the air. At the Black Violin: The UNITY Tour concert, many people—young and old—were captured by the entrancing music and performance of Kev Marcus (violin) and Wil Baptiste (viola) who make up the powerhouse duo Black Violin. The pair makes virtuosic musical skill look easy, with palpable joyful sound and driving beats. Multi-genre in both style and performance, they sometimes seem to play with the quiet focus of a chamber ensemble, and at other moments dance with their instruments like a funk band. Jazz, R&B, roots, rap, and pop are all rolled into an unrestrained musical explosion. With no instrumental bass line, the music of Black Violin relies heavily on synth backing and driving rhythms of jazz drumming to build to tremendous heights. Both Marcus and Baptiste make skillful use of the pizzicato technique, picking and plucking at violin strings to provide melodic lines through swelling symphonic grooves. Throughout the concert, which Baptiste explicitly noted should be a party and encouraged dancing and responses from the audience, the two played with snippets of recognizable phrases from both popular and classical music; it becomes a game to try to identify them all. This challenge is made easier when Baptiste’s strikingly rich vocals are added to the mix, providing a warm color to the crisp sharpness of the strings. In a delightful mash-up, Baptiste slid smoothly from a rendition of pop singer Ed Sheridan’s chart topper “Thinking Out Loud” directly into Marvin Gaye’s classic “Let’s Get it On.” These moments show Black Violin’s incredible musical knowledge, bridging commonalities and finding parallels in diverse genres. In a different display of talent and engagement, Marcus and Baptiste engaged in an improvisational exchange, playing with jazz syncopations and staking claim in the tradition of hip hop freestyle. They are entrancing. The name Black Violin refers to an album by a swing-era violinist Stuff Smith, a preeminent jazz musician. Like Smith, Baptiste and Marcus’ music represents a transition between styles and pushes against stereotypes of what types of music black men are expected to play. Both classically trained, the duo first met in high school orchestra class; their story is a powerful argument for the importance of music education in schools. The duo vocally advocate for educational outreach, performing for more than 100,000 students in North American and Europe since 2015. 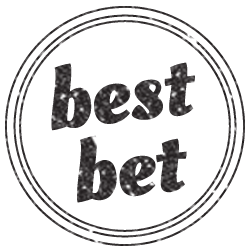 They have also seen tremendous creative and commercial success, collaborating with the likes of P. Diddy, Kanye West, 50 Cent, Tom Petty, Aerosmith, Aretha Franklin, and The Eagles. Black Violin is scoring Fox’ new television series Pitch about the first female pitcher in major league baseball, and they performed for President Barack Obama and First Lady Michelle Obama at his Inauguration. The two have used this success as a platform to talk about engaging in a positive rejection of social stereotypes; against a national narrative of violence against people of color, it is powerful to see two black men make music with joy and community. They are a powerful reminder that it is these connections that make music stronger. 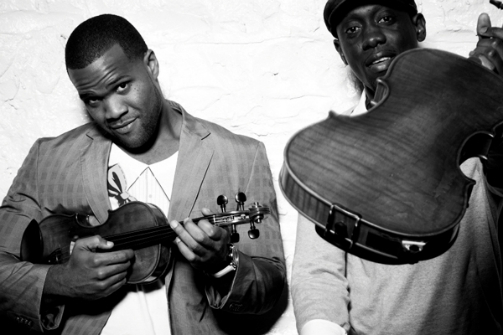 Black Violin: The UNITY Tour is Kev Marcus and Wil Baptiste. Their debut "Stereotypes" is released by Universal Music. Producer is Eli Wolf. Features MCs Pharoahe Monche and Black Thought, singers Melanie Fiona and Kandace Springs, guitarist Eric Krasno, pianist Robert Glasper, drummer Daru Jones, and string arranger Rob Moose.